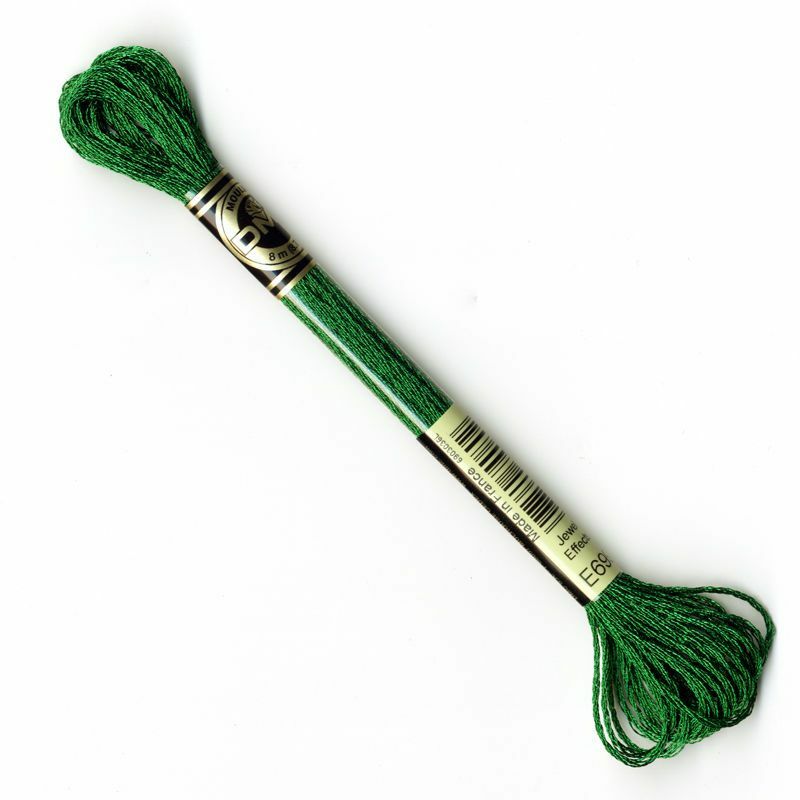 DMC - Art 317 - 6 Strand Light Effects (Metallic) Cotton Thread is composed of 6 divisible strands. It can be used on its own for embellishing designs or blended with our range of 6 stranded cotton thread. It gives a festive appearance to embroidery on all types of fabric (Aida, Linen, Evenweave, Organdie etc). Ideal for cross stitch, general embroidery and goldwork. Each skein is 8 metres long.